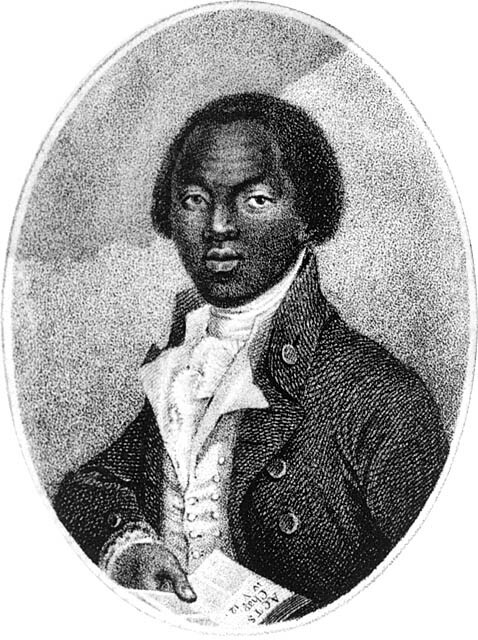 Kidnapped in Benin, Africa, at age 11 or 12, Equiano was enslaved and sent to America. Eventually freed by his master, he went to England, where he became an abolitionist, lecturing on the cruelty of the British slave owners of Jamaica. British abolitionists funded publication of his 1789 autobiography, The Interesting Narrative of the Life of Olaudah Equiano, a dramatic account of his abduction and his first voyage via the “Middle Passage” to the West Indies and America. His book was the most widely read work by an African American prior to the Civil War and did much to awaken the world to the suffering of slaves.